The line to get into a certain cupcake bakery on a certain corner in Georgetown wraps around the corner most days. Tourists, and even maybe a few locals in disguise, wait for them. They wait an hour. In line. To pay for a cupcake. This morning, there will very likely be another line outside another D.C. cupcakery. A line in the rain. But this time, you won't have to dig for those three bucks. That's because when the doors open at 10 a.m., Hello Cupcake in Dupont Circle (1361 Connecticut Ave. NW) is giving away one free cupcake per customer until supplies last. In this town, that could be all of five minutes. But there's potentially more icing to this little cake. 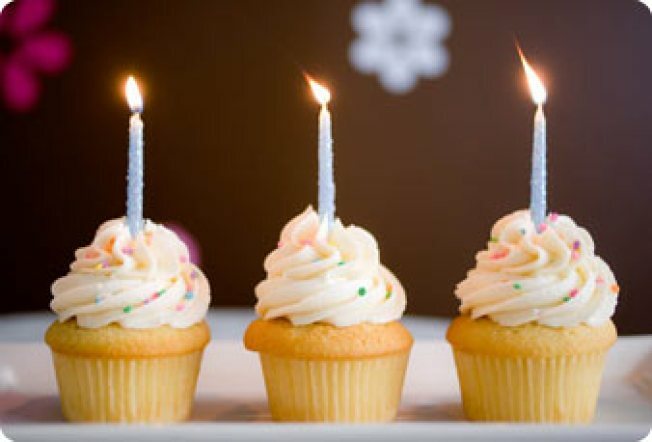 If you're one of the masses believing the multiplication of cupcake establishments is a fad, consider this: today's free cupcake is a gift to customers who've kept Hello Cupcake alive, baking, and even matchmaking for two straight years. The owner of the shop says she brings "the 'Greek Mother' philosophy" to her work, "from the high-quality baked goods, to the sparkling clean, charming and inviting environment, to our friendly and helpful staff." So helpful, in fact, Penny Karas admits to "the occasional matchmaking." So you might have to wait. In line. For a cupcake. But at least this one won't cost you a dime. And you might just find a sweetie to share the next one together.